Some dogs are more resilient than you could ever imagine. 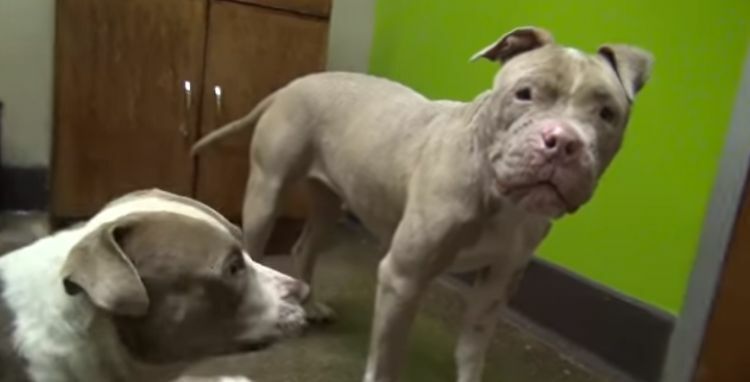 Dogs sometimes go through horrible mistreatment, and some dogs have rough starts at life. Yet dogs also often go on to forgive humans, find hope again and love life, even though it's treated them poorly so far. That's just what happened with Cadence and Chance. These two pit bulls were rescued by Hope For Paws back in 2013. When they were put into the same room, despite their rough past, all these two wanted to do was dance and play. Cadence and Chance had tough pasts, and it's easy to see the scars on Cadence's sides. Pit bulls have the unfortunate reputation of being vicious and dangerous. 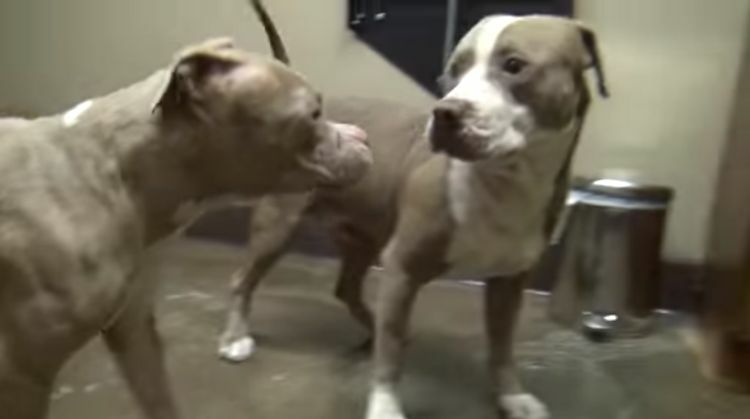 But even with all of the mistreatment they'd seen, these pit bulls were happy to show off their playful side. Things started slowly with plenty of pauses and reassessments. But then the two dogs seemed to hit their marks and really have some fun. Just take a look at their impressive moves! The video of Cadence and Chance has racked up more than 4 million views, and it's easy to see why. 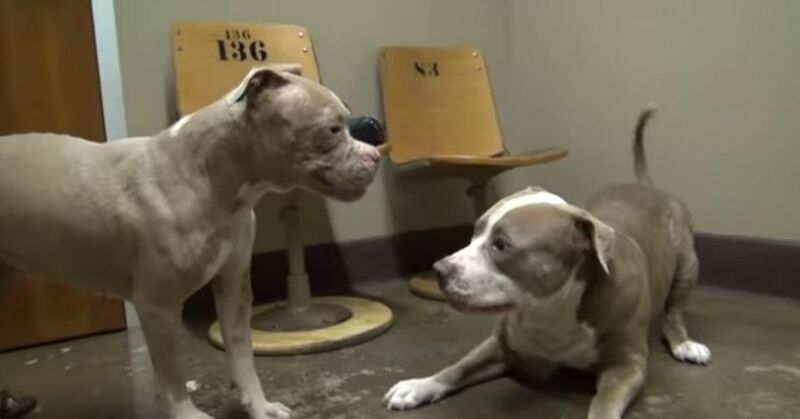 Not only is it fun to see these dogs playing together, but this video is an important reminder that there's always hope. There's always a better day, and the joy that these dogs demonstrate shows why rescue work is so important.